Dimensions: 28" x 17" x 31"
This California Air Tools 15020C Air Compressor will be a nice option for a hobbyist or a user keeping a small workshop. It is relatively quiet and at the same time very efficient. And thanks to its oil-free pump design, this air compressor provides a whole bunch of useful features that we will list further. 4-pole brushless motors which create less noise due to a lower operating speed of only 1680 RPM. Besides, this also allows for less motor wear. In addition to this, the motor is built so that it consumes less electricity and starts easier. Thermal overload protector that prevents the motor from overheating. It operates as follows: when the level of air pressure reaches the preset maximum, the automatic pressure switch turns the motor off. As soon as the air pressure drops to the minimum, it will start the motor again thus avoiding overheat. Extra large dual pistons allowing for faster air displacement in the tank. Which means reduced recovery times and faster filling up of the air tank. 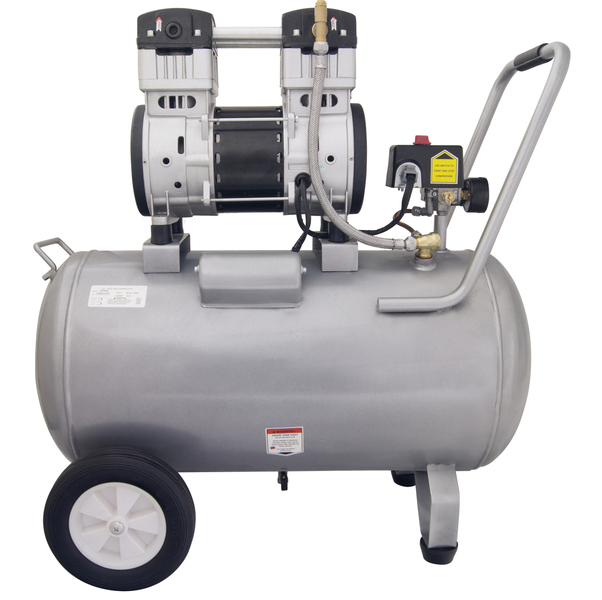 First and foremost, this air compressor offers fast and easy assembly, despite its powerful and efficient operation. Since the California Air Tools 15020C Compressor doesn't require oil lubrication, the use of it frees you from oil changing, refilling, and disposal. Apart from that, you may use it in cold temperatures and surface evenness doesn't matter. Furthermore, taking into account its power the compressor runs very quietly. 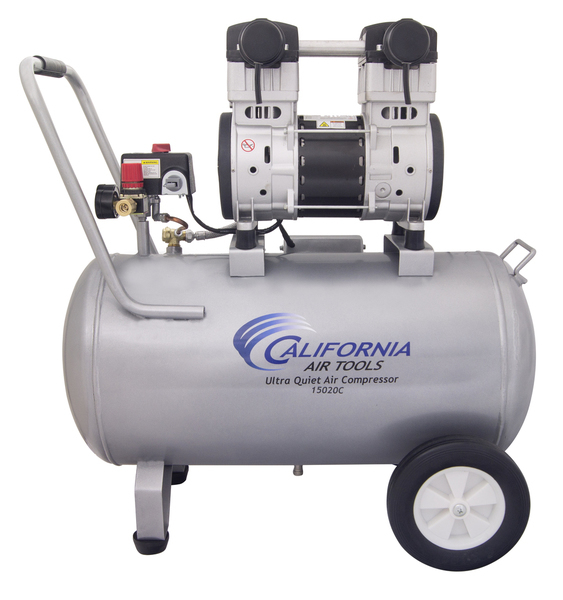 Dimensions: L 28" x W 17" x H 31"
Along with that, the manufacturer guarantees to repair or replace defective parts of the California Air Tools 15020C Compressor within 1 year from the date of purchase. However, note that in order to be considered for warranty repair or replacement parts should be recognized as defective only by the authorized California Air Tools service. 31" x 28" x 17"